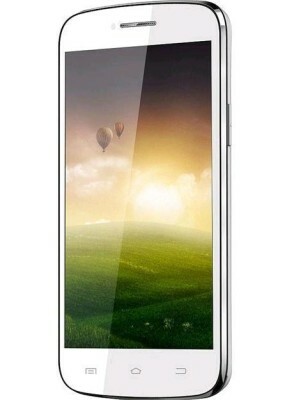 Spice’s latest dual core Android smartphone, the Spice Mi 504 Smart Flo Pace 2 is now listed online. The Mi-504 comes powered by 1.3GHz Dual core processor. According to the specs, the device would compete with Micromax A63 Canvas Fun, Micromax A76 , Gionee Pioneer P2 , Micromax A40 Bolt and Intex Cloud X4 and Y2. There are few handsets that are powered by 1.3GHz dual core processor. Although there are many handsets that comes with Dual core CPU clocked at 1GHz.The company officially has not enclosed any sort of details about the phone. 1.3GHz Dual core processor, 512MB of RAM. 5″ inch (480×800 pixels) capacitive touch screen display. 5MP rear and 1.3-megapixel front facing camera. WiFi, Bluetooth, GPS, GPRS, EDGE, 2G. The Spice Mi-504 mobile phone runs on Android 4.2 Jelly bean OS. It gains the power from 1.3GHz Dual core processor paired with 512MB of RAM. It is 9.6mm thick and weighs 181 grams. The Spice Mi504 comes with 5 megapixel auto focus primary camera with LED FLASH and 1.3MP front facing camera. The handset is powered by 2100mAh battery which offers 5hours of talk time. It has 5inch capacitive touch screen display with WVGA (800×4800) resolution. It has GPRS, EDGE, 2G, Wi-Fi , Bluetooth, GPS with AGPS, 3.5mm audio jack and micro USB port connectivity. Spice Smart Flo Pace 2 Mi 504 comes with Dual Sim Slots (GSM+GSM) with Dual Standby and 4GB on-board / internal Storage. The memory of the phone can be expandable up to 32GB. As we said before the official specs are not out yet, so it would have 3G support as well. But as per the name of the Spice Mi 504 it will not have 3G. It comes in white and black color. The mobile will be released / launched in cupple of days Spice Mi 504 will be priced under Rs. 6999.